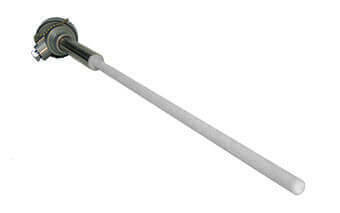 We manufacture temperature sensors for ovens and kilns. We supply to both manufacturers and to end-users looking to replace existing temperature sensors. If a temperature sensor such as a thermocouple gets damaged in an industrial oven, we can provide a cost-effective like-for-like replacement. 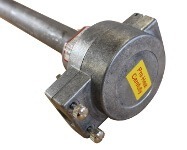 Depending on the temperature and purpose of the kiln or oven the temperature sensor could be either a thermocouple or resistance thermometer but we can help identify the exact specification you require. Most of the time ovens and kilns will be measuring a higher temperature and therefore using thermocouples as opposed to resistance thermometers. 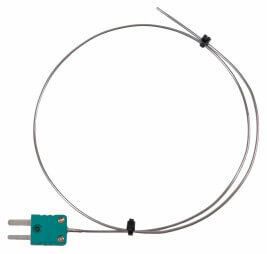 Very similar to industrial ovens, we can supply replacement temperature sensors for laboratory ovens. Often laboratory ovens are used for drying, heating, thermal testing, ageing or even incubation. In lower temperature ovens up to 500°C resistance thermometers might be used, but over 500°C thermocouples will be standard. 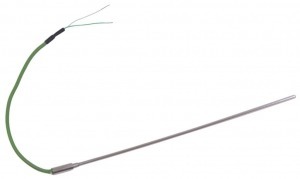 We manufacture replacement thermocouples for ceramic kilns and pottery studio or hobbyist kilns. Thermocouples can also be made for glass kilns. Kiln thermocouple spares and repairs can be full thermocouples replacements, thermocouple elements, or replacement thermocouple sheaths. The most common thermocouples are type K, type R and type S. Which will either be in a ceramic or metal sheath with a terminal head. We’ve made temperature sensors for ovens and kilns for over 20 years and today we are considered the best choice for custom built temperature sensors in the UK. We continue to apply our expertise and invest in the latest technology to provide our customers with the highest quality temperature sensors available.